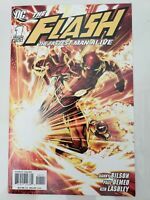 Details about Flash Fastest Man Alive (2006) Issues 1 - 10 NO DUPES. Blowout Sale!!! Flash Fastest Man Alive (2006) Issues 1 - 10 NO DUPES. Blowout Sale!! !